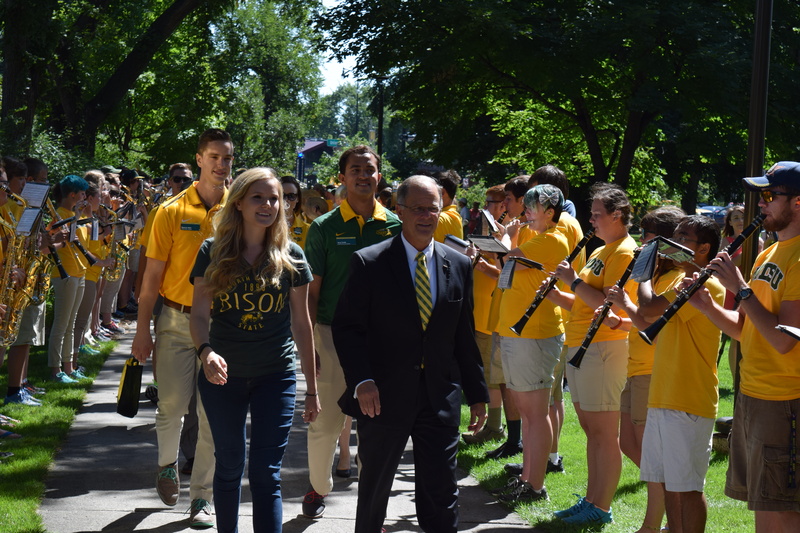 President Dean Bresciani leads the class of 2020 through the gates of NDSU. North Dakota State president Dean Bresciani welcomed the class of 2020 to NDSU on Monday. 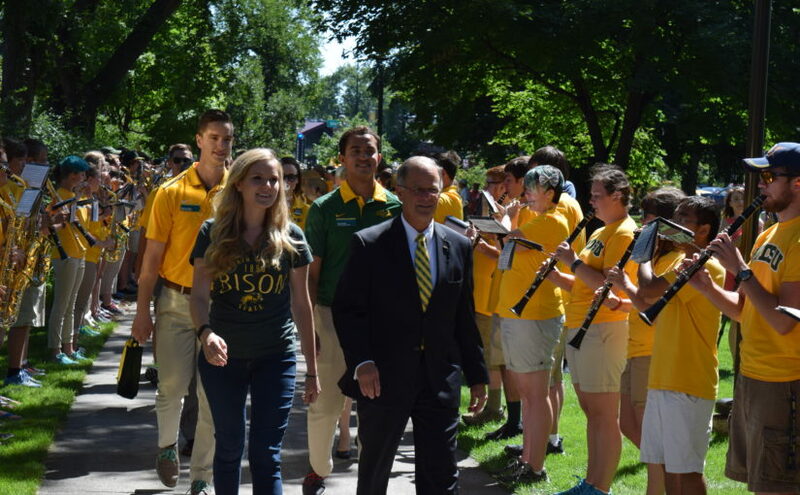 Bresciani, along with student body president and vice president Spencer Moir and Anuj Teotia, respectively, and special guest speaker freshman Zoe Leuthner escorted other NDSU staff and the class of 2020 through the gates of NDSU to the courtyard outside of Putnam hall. Moir and Teotia began the ceremony by speaking of and highlighting their favorite parts about NDSU. Moir said his favorite part of NDSU is the community, whereas Teotia said his favorite part is that though the weather in Fargo is cold, the people around the NDSU campus are so warm “you will always feel at home”. Bresciani then spoke about how NDSU is becoming the school of choice for many students within North Dakota, and highlighted research of the schools of NDSU. He then suggested Fargo is possibly the coolest college town, and highlighted the football team. Leuthner followed, speaking to her classmates about her experience with NDSU. Finally, provost Beth Ingram spoke to the class of 2020 and asked them to open an envelope they were handed before the ceremony. Inside, there was a gold and green graduation tassel, which Ingram asked students to hang on to as a reminder of a mutual promise between the students and NDSU, to wear at graduation in four years.